I am a happy writer, wife, teacher, and mom who doesn’t mind sharing that I used to be depressed. God saved me from suicide in 2004, but I continued to suffer depression for years, all while pretending I was okay. Throughout my twenties, I fumbled my way back to God and the Seventh-day Adventist church, and through prayer ministry and my husband’s love and support, decided it was time to let down my walls. Today, in hopes of inspiring honesty and healing in others, I share my story with students, church members, friends, prayer partners, and all you who read this blog. I hold bachelor’s and master’s degrees in English and have taught the same subject at the high school and college levels. I have written two books–The Hidden Half of the Gospel: How His Suffering Can Heal Yours with Paul Coneff, and my memoir, Ending the Pain: A True Story of Overcoming Depression. Currently, I’m staying at home to clean poopy diapers, play with my sons, learn how to clean house, and finally return the support my hubby gave me over eight stressful years of trying to “find myself.” My passion is writing true stories about the Lord’s redemptive work in messy lives, because these stories make a case for God in a way many can relate to—and no one can argue with. “Writing to My Roots” is where I share my thoughts on writing, life, family, and faith. 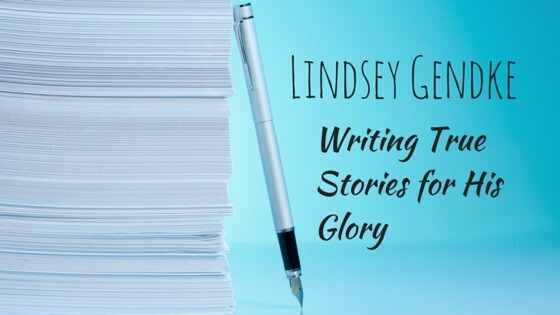 Part writing-, part mommy-, and part Christian-blog, this space was originally where I got comfortable telling my “ugly, messy rebirth story” as I prepared to go public with that story in a memoir. Today, you can find my memoir on amazon.com or adventistbookcenter.com, and follow the continuing story here, where I document my struggles to relearn life, faith, and priorities as a new mother. I think there’s going to be second memoir in all of this at some point, but until the mommy gig slows down, it’s important to me to keep writing, and to keep connecting with readers who may be going through the same struggles I am. Before my first child completely changed my life, I was doing a lot of serious praying, healing, and writing concerning my good and bad “roots,” and that’s where my blog title comes from. When I started blogging, I planned to write about how I had recovered from my childhood issues…how I had prayed through all my bad roots and was now going to get down to the good ones. The more I blogged, the more bad roots I uncovered. I’m talking about lies Satan had planted in me over many years spent in depression and denial—lies that still try to keep me from becoming the person God wants me to be. I’d rather expose Satan’s lies than cover them up. I’d rather fight than flee. I’ve learned there’s a battle unfolding between good and evil every day in my soul—and I am committed to exposing that evil so it can never take me down again. What Christians and Mental Patients Have in Common…to understand why honesty is so important to me. The Dark and Light in a Writer’s Life…to understand my sometimes “mixed” posts. And the roots of how Satan tries to keep me from having, being, and doing all of the above. If you’d like to learn more about uncovering the harmful roots in your life, you can get a copy of The Hidden Half of the Gospel at www.hiddenhalf.org, or purchase the Kindle edition at Amazon.com. To learn more about the prayer ministry that led me to “write to my roots,” or to request prayer trainings at your church, please visit www.straight2theheart.com. Finally, if you are inspired by this blog, I’d love for you to visit my Facebook page, where I post shorter, more informal thoughts and inspirations, along with the occasional family pic. Thanks Marisa. Me too! I am enjoying following your journey! Good luck and love for your adventure…just keep going. Thanks so much for reading! I appreciate the encouragement! Oh please do! I’m glad you found this “about” attention-getting. I was just thinking of changing the content on this page, but maybe I’ll keep it for a bit longer! I appreciate the follow, and will be seeing what you are up to as well! Lindsey, an excellent plan. I look forward to following your journey. Thanks so much for taking an interest! I look forward to seeing what you’re up to, as well! Haha, do not let mere grammar stop a good conversation. From reading your words, you have no need to fear. I like the way you write. Sometimes I have to laugh at the fact Towson pays me to teach PR Writing to undergrads. Too funny. Thanks Maryanne! If we keep telling it like it is, maybe things will change for the better! Just ran across your blog, but I’m interested to follow along. I was fortunate to grow up in a wonderful family – and still managed to come out with a load of issues of my own. Funny, isn’t it, that no one is immune to a “load of issues”! I believe that’s a side effect of living in a sinful world, but we just do the best we can with what we’re given. Glad to have you following! Thank you! I’ve gotten to a point in my life where I’m just not interested in putting up pretenses if I don’t have to. Honest and open conversations are what I prefer, all the way! Hello, Lindsey! Nice to meet you and to have you following my blog. I like what I see here and will be following you via Feedly. God has a plan for all of us, and then we come along and decide we can do a better job at taking control of our lives. Each of need to get back down to our roots of what God has in mind for us, and you’re actually doing it. God’s blessings on your writing and in your life as His child. Hi Sherrey, glad to have you on board! I was intrigued by your blog, too, and I look forward to sharing the journey! You are so right about how we think we can do a better job than God sometimes. How silly (stupid, really) we are! Blessings to you as well, in your writing and in your life! I got to your blog through “Freshly Pressed”, since then I’ve been following your blog.. I see you leading my way.. I’ve have some similar experiences like yours.. I would love to write my own memoir and share it with you one day and get your reviews! So glad to have you on board! Sometimes the road I’m on seems a little murky, but the more I write, the clearer it gets. It’s amazing the things I discover about myself and my life when I just take the time to stop and reflect (and write!). It’s an exciting journey…sometimes painful, but so rewarding. So keep at it! Thanks for the high compliments! This makes my day! God’s plan is always the best. Good luck with your writing! Thanks Jill! Glad to have you along for the ride!